I have seen Metallica at least 1o times in my life and they are by far one of my all-time favorites not only live but also in my daily listening. My default playlist is these guys when I am on the sled dog trails in the wilds of Alaska and also when I am sweatin’ to the heavy metal at the gym. We arrived at the Rose Bowl early and parked what seemed like miles away on a golf course. We enjoyed salads and foo-foo bottles of sparkling lemonade we picked up from the original Trader Joes. We were surrounded by metal-heads with every version of the boys in black blasting on their car stereos. I can freely admit that seeing concerts at middle age is a much different, and I will argue, more fun experience then when you are younger. You come not only for the show but also the awesome food that is sold these days at almost every show but also the craft beers and cocktails and overall experience. When you are 20 all you care about is the mosh-pit and picking up chicks! We had a few hours to kill before the show so we went over to the area that had all of the food trucks and the radio stations. At least 10 local radio stations were there doing doing their own thing to entice their brand of the Metal Mulisha. 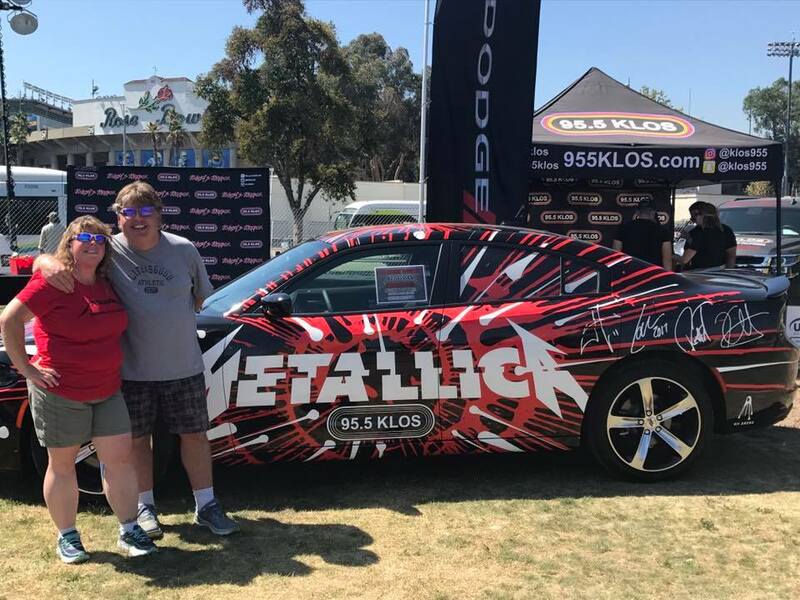 They were all giving away cars, motorcycles, signed guitars and meet and greets with the band. Michele and I enjoyed a beer under the only tree in the area. It was hot, dang hot, I think at least a 100 degrees in the shade. We waited in line with all of the scantly clad rocker chicks and guys with chains on their wallets for absolutely no reason at all for almost an hour. When the doors opened we found our seats. They were good ones! Stage right in the first section in the middle of the row. Our seat-neighbors were a couple that had flown over from England just for a show. How cool is that? The show opened with a band that I had never heard of, Gojira from France. I didn’t know any of their songs–most seemed to be about politics and the environment. Next up was Mike-D from you guessed it The Beastie Boys. He was awesome. He rocked the ever-filling arena for almost an hour with his own mixes and samples that took you right back to the 1980s. The third opener was Avenge Sevenfold. I really like these guys and have been listening to their music for years on my iPod. Songs like Bat Country, Hail to the King and Nightmare got the crowd jumping as the sun set over the stadium. We waited about an hour for Metallica to take the stage and they started off heavy with Hardwired and Atlas, Rise! Michele and I were jumping out of our minds as the set opened. 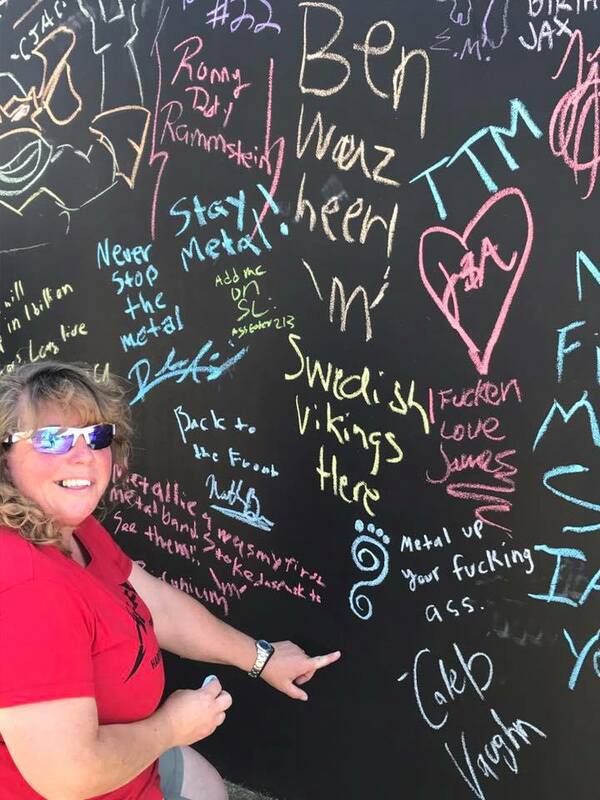 After Atlas, James took a second to remind the crowd that we were all part of the Metallica family and that we were here to enjoy live music. Then with the trademark crab-crawl bass banging riff of For Whom the Bell Tolls really kicked the show into high gear. This was a massive almost overwhelming experience. The stage was huge, the video was awesome, the sound was deafening and the place was packed to the rafters with more than 70,000 metal heads. They continued with Fuel and fan favorite The Unforgiven that they dedicated to Linkin Park’s Chester Bennington who had died just weeks before. Next up was an awesome extended drum solo with all the members of the band playing Now That We’re Dead off their new CD Hardwired… and that led into Moth Into Flame which James made a snide joke about the microphone working this time. For those that don’t know they played this song with Christina Aguilera at this year’s Grammy’s and James’ mic didn’t work through the whole song. One of my favorite songs by the band, Wherever I May Roam led into Halo of Fire, old-school Motorbreath and a heavy Sad But True. The second act if you will, of the show brought the house down with One and Master of Puppets with staggering videos accompanying them. Fade and Seek were up next with the later preceded by Van Halen’s Running with the Devil. The band left the stage long enough for the fans to catch their breath to come back with a scorching rendition of Battery and slowed down a beat by Nothing Else Matters. 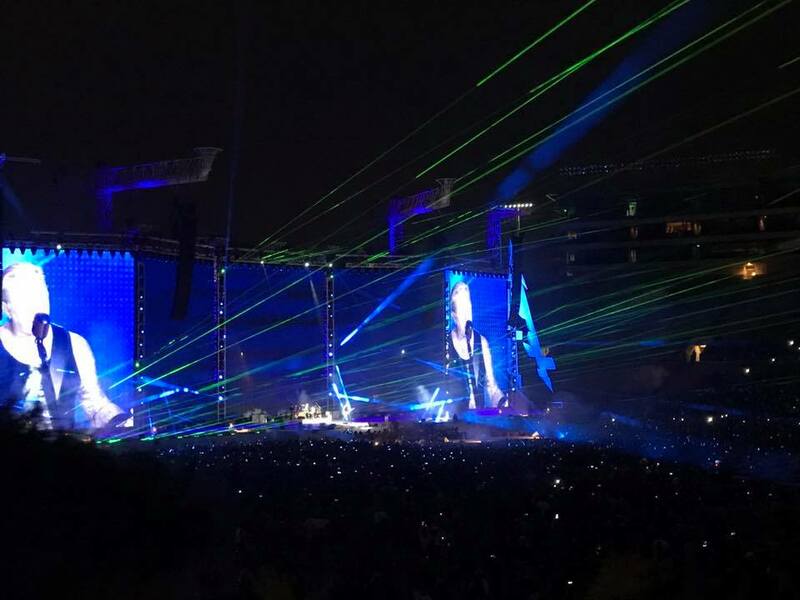 The show ended with the army of 70,000 screaming sleep with one eye open on a raucous Enter Sandman with the Frayed Ends of Sanity outro to end the show with a barrage of fire and fireworks. My god what a freakin’ show! This will go down as one of my all time favorite concerts. 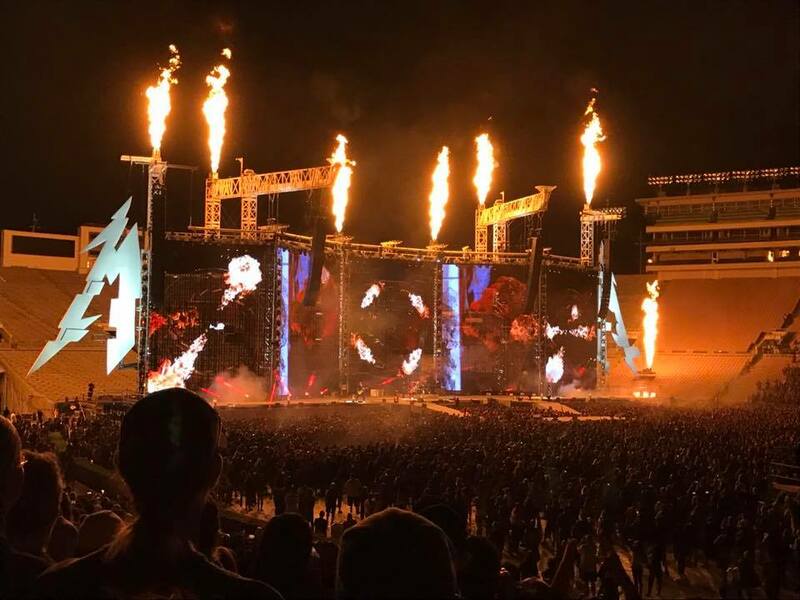 I have been to at least 200 concerts in the last 30 years or so and I can say without hesitation that bands like Metallica are far above most in terms of show production and overall experience. 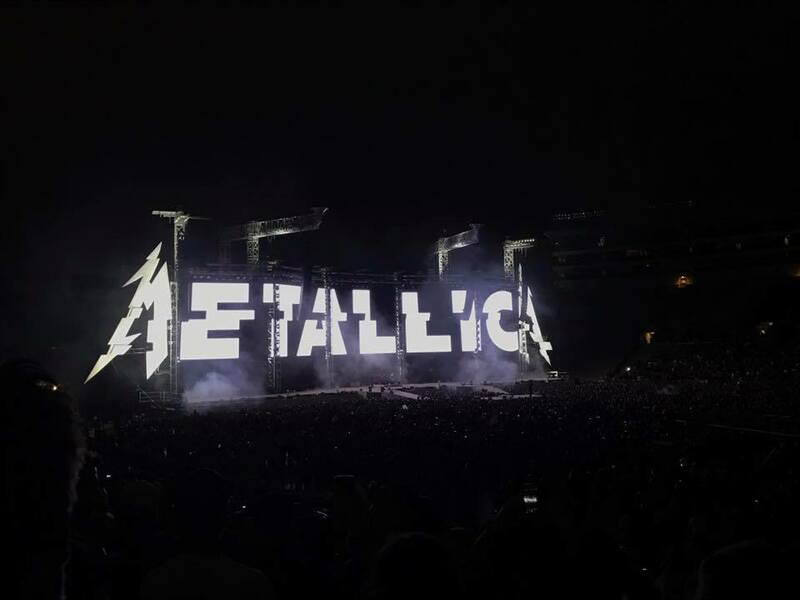 As one reporter stated in Baltimore about the show when it first opened on tour, Metallica is a perfect version of PTSD post-apocalyptic America at its finest. 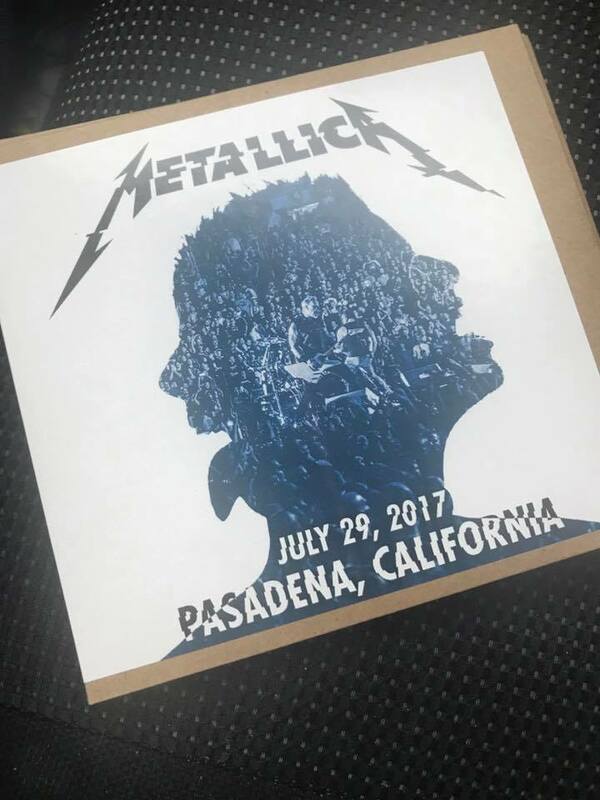 One of the coolest mementos I have is a live recording of the Pasadena show that I ordered and it arrived a couple months after the concert. As soon as I put it into my car stereo I was immediacy taken back to that night at the Rose Bowl. It was like being at the concert all over again! What an awesome way to re-live the experience any time by just popping in the CD.